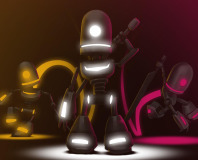 It's all about hyperactive, suicidal ninja robots - what's not to love? Eidos has unveiled a new title from IO Interactive which looks set to buck the gritty trend the developer is known for. Scythe is a company with a massive reputation in the enthusiast community and it recently released its Ninja Copper cooler. We test the Ninja Copper out to find if it lives up to the company's reputation for making great low-noise coolers. Tomonobu Itagaki, creator of the Dead or Alive series, has announced he is resigning from Tecmo and suing them to boot. N+, the popular indie flash platformer, will be coming to Xbox Live Arcade today and will mark the utter destruction of our free time. When we left the story, James had just entered in a competition to have his indie game published on Xbox Live. Now, read the second part to find out how he bagged the prize without winning and completed the transition from dishwasher to game designer. As part of a new series of columns by prominent indie and professional developers, James Silva talks about how he moved from being a dishwasher in an Italian resturant to being a game designer. Beware, the story contains ninjas, zombies and dishwashery! We've got copies of the new piratey MMO to give away to three lucky winners, plus keys for two weeks of free gameplay for 50 more scurvy dogs. COMPUTEX 2007: Scythe and Thermaltake have a few more, even larger coolers to make even the hottest silicon reach for a jumper. 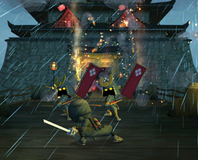 Ninja Gold, a new film and game project, will be headed up by John Woo and Warren Spector. Be honest though, we had you at 'ninja'.